America may be bitterly divided along lines of have and have-not, political partisanship, and whether the new Jane’s Addiction album is the musical equivalent of the gray-haired guy in the club rocking a screen-printed blazer and optimistically hitting on all the college girls, but there’s one thing we can all pretty much agree on: Talk-show hosts are, generally speaking, the worst. But who is the worst of the worst? 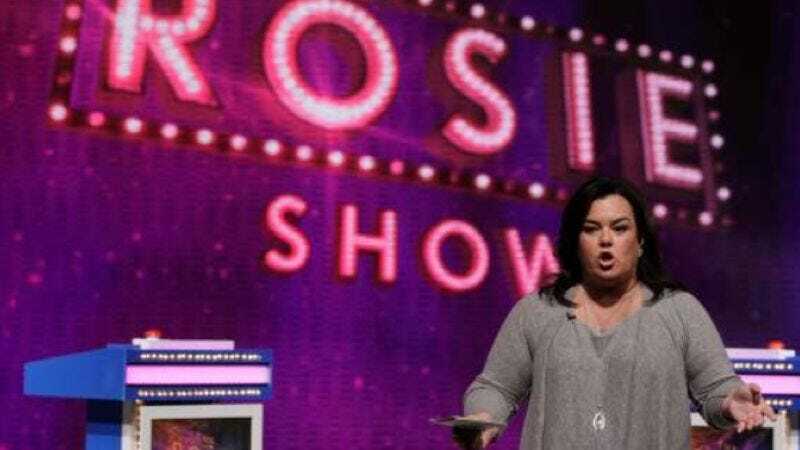 According to a poll conducted by SodaHead, there’s no question that it’s Rosie O’Donnell, who topped the list of “Worst Talk-Show Host Ever” with a landslide victory of 61 percent, with every other talk-show host in history coming nowhere close to the level of hatred she evokes. The results placed O’Donnell—currently singing showtunes and making jokes about Spanx and menopause on the Oprah Winfrey Network—far ahead of her closest competitors, Jerry Springer and Star Jones, who tied at 11 percent apiece, and should be forced to settle this in a prolonged slap-fight. And while some may claim that the hatred for O’Donnell is just conservative bias rearing its head against her outspoken, Bush-hating liberalness, SodaHead also notes that even 42 percent of people who self-identify as “liberals” dislike her, so there. (They do not, however, break the results down by percentage of Asian respondents, which also might have been helpful.) Bringing up the rear on the worst talk-show hosts of all time, in decreasing order of how much people hate them: Wendy Williams, Dr. Phil, Pat Sajak, and Jenny Jones, who is probably just happy to be mentioned on the Internet today.